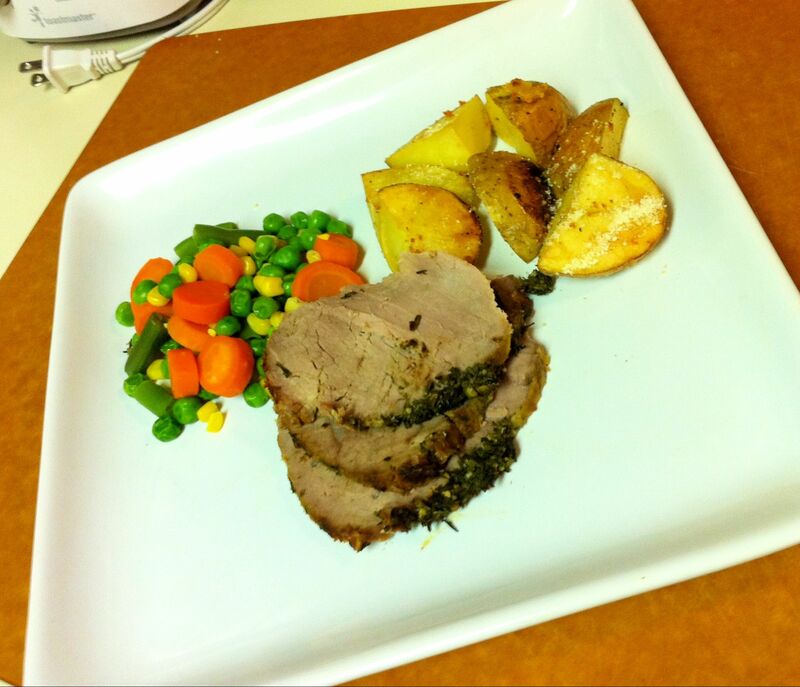 So it tasted awesome- but Janet would say there was a problem with the roast recipe. She said the recipe called for adding herb crusting after the internal temp hit 110- which meant you need to remove the roast while it is steaming hot- how do you possibly hand rub on a herb batter on something that hot. well, she did her best and it came out awesome. Meal pictured is worth 12 points. 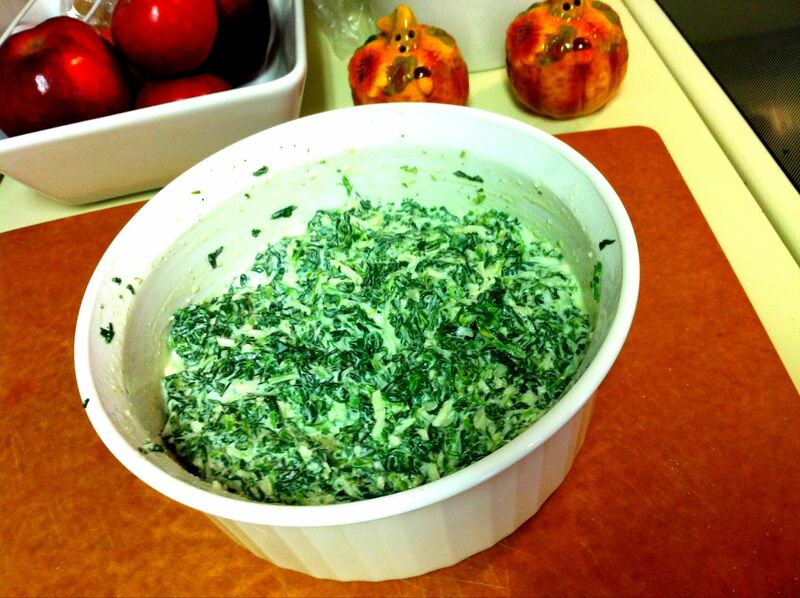 Thawed frozen spinach, light sour cream, mayo, Parmesan reggiano, some garlic and a cup of part skin mozzarella cheese. I will take a pic and provide more details once it comes of the oven in 15 minutes. 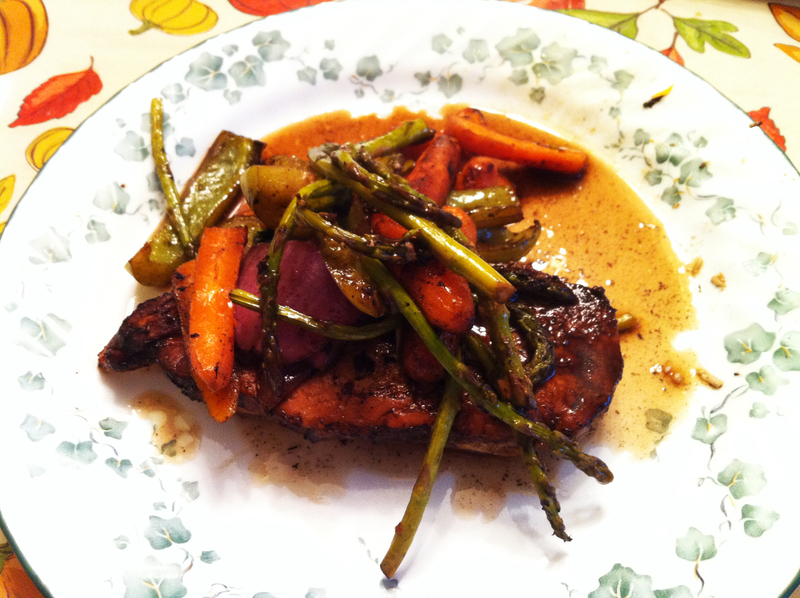 I will include the weight watcher info and recipe once it is ready. So, here is another recipe from SkinnyTaste. We are madly in-love with her recipes- each one is getting better and better. 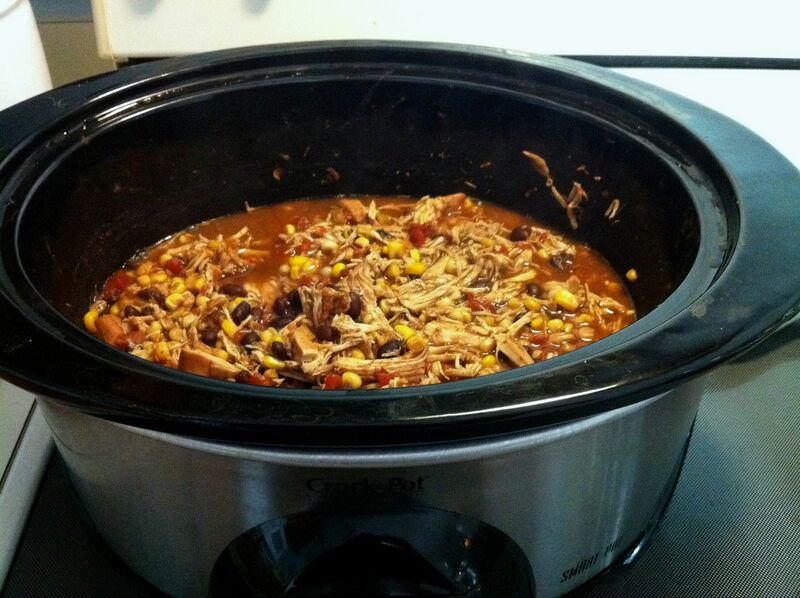 Since on Wednesday nights we go to church (click here to check out Emmorton Baptist Church) we need something easy to make and crock pot recipes are typically perfect. Janet threw it in the crock early this morning and we cooked the rice once I got home. The final plate looked like this. The chicken part is only 4pts and a full serving a rice is 5pts. 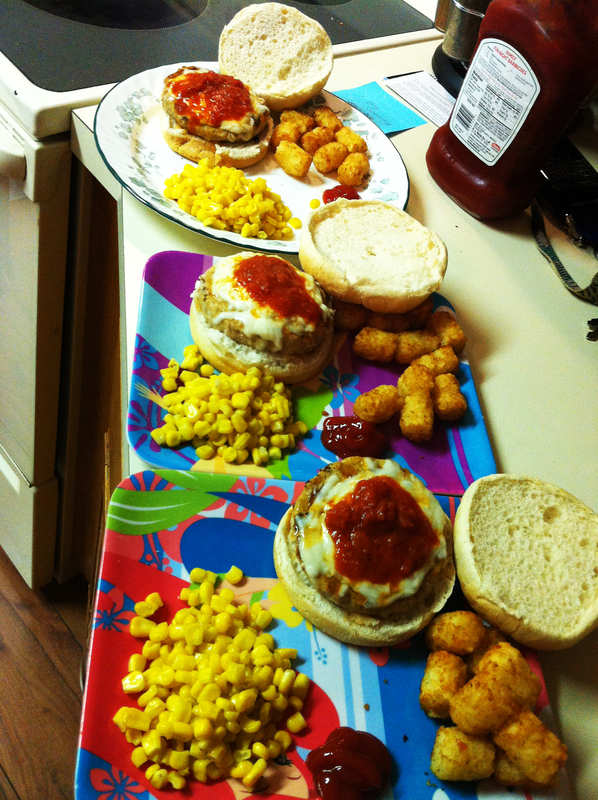 This was an incredibly hardy meal that the entire family enjoyed. My 6 years old had 3 servings. What you do not see in the photo is cheddar and sour cream, we forgot about it until later, but I was too hungry to get up and grab my phone. Here is what we had for tonight. Janet had a ladies event at our church, so I was the king and lone cook of the home. I came across this recipe over at SkinnyTaste go check it out. This was super easy to prepare. 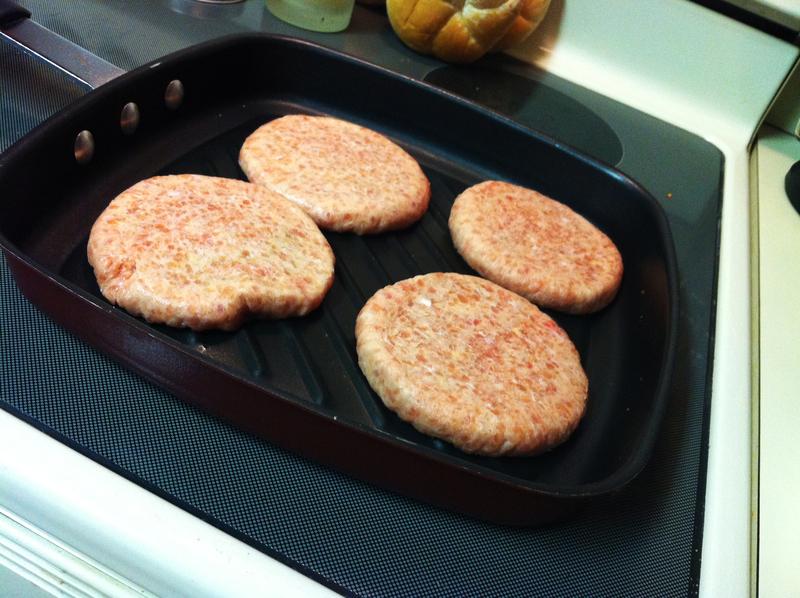 Go to your local grocery and get chicken patties, thaw and toss them on your griddle. After letting them cook, toss on some mozzarella cheese and place it under the broiler. Remove from the pan and toss it on a roll. Then pour on a little sauce on top and here is what you get. In theory this could be a Weight Watchers meal, but the way I made it- I would simply say this meal ended somewhere around 15points. An awesome 15 points may i add. Both the girls that were home each had a half and loved every bite- especially the cheese. Boy, do my girls love cheese. Here is the first BigBitesLittleBites video we made in 2009. If all you do is watch is watch the opening sequence with my adorable girls you will be a happy person, if you watch the whole recipe I think you will be pleasantly surprised. This is not a Weight Watchers recipe. Although, after watching this I may modify it with ground turkey or chicken. VIDEO RECIPE: HAMBURGER PIE from Big Bites Little Bites on Vimeo. I was just looking to see how many people would click on this post. I don’t have any great secrets, I was never a chef and therefor I could never be a former chef, but in my opinion my family can make some awesome meals. If you never comeback to this blog ever again, here is some free advice. Skinnytaste.com is awesome and you should go there now and check out every single recipe. 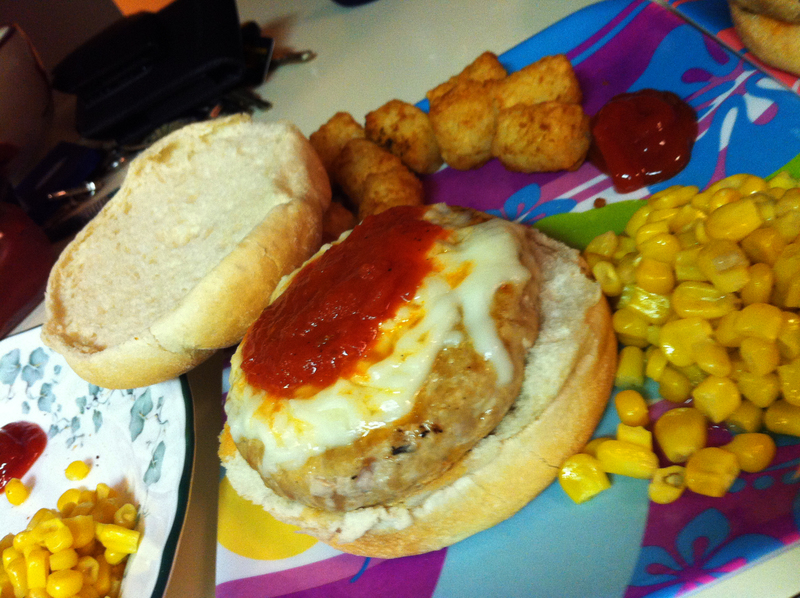 The link above will take you to our first Weight Watcher’s friendly recipe we tested here at BigBitesLittleBites. 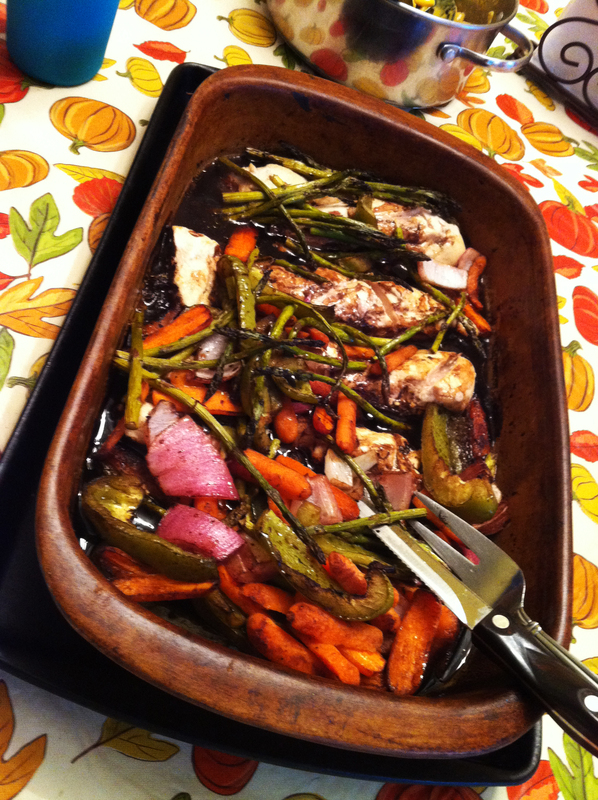 It is for Balsamic Chicken and Roasted Veggies. 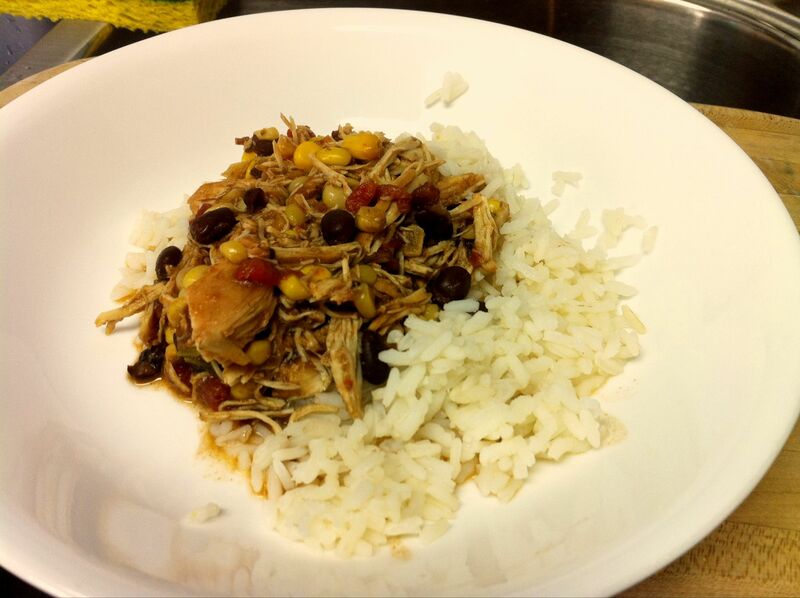 This was an easy recipe to make with tons of great flavors. Throw it all into a large dish- set the oven and get out of the way. It was just that easy. I am really just testing out the new blog- so I will include more details later.